Perfect Video Chat Software, Live Chat Software, Video Conference Software that allows you to easily communicate in real-time with friends and family around the world over the Internet ! 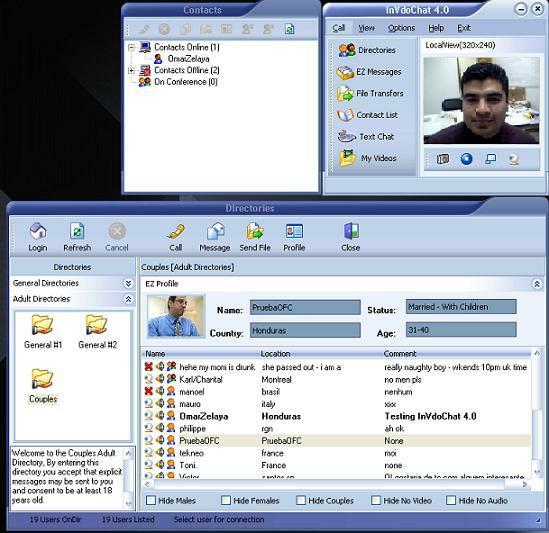 InVdoChat is a Video Chat Software, Live Chat Software, Video Conference software for Windows 98/ME/2000/XP, allows you to easily communicate in real-time with friends and family around the world over the Internet. InVdoChat - Video Conference Software supports unlimited one to one video conferences; you can share video, audio and text with as many users you want, a really Video Conference Software for you. InVdoChat - Video Chat Software also includes the public directories, where you can find Friends, family or just look for other Video Chat users with similar interests so you can make new friends from around the world. 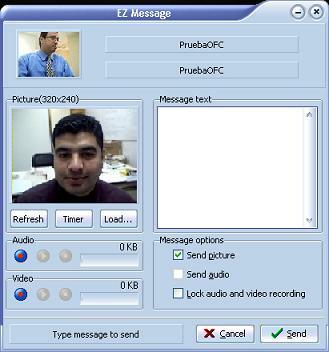 InVdoChat - Live Chat Software includes Easy Messages, which allows you to send and receive video and audio messages to other InVdoChat live chat users. It also includes a file transfer utility, which allows you to send and receive files from other InVdoChat users. Lifetime Updates for registered users. Unlimited one-to-one near real-time video conference. Ability to record video and audio from conference(with user permission). The fastest video engine on the market. Skinnable user interface, with more than 12 skins included and support for Windows XP visual styles(msstyles). Now you can use thousands of themes developed for Windows XP(www.themexp.org) . Effects for dialogs and windows, with 15 effects to choose. Optimized for processors with support for MMX, SSE and 3DNOW. Support for a wide range of webcams and any other video device with support for Video for Windows and DirectX.